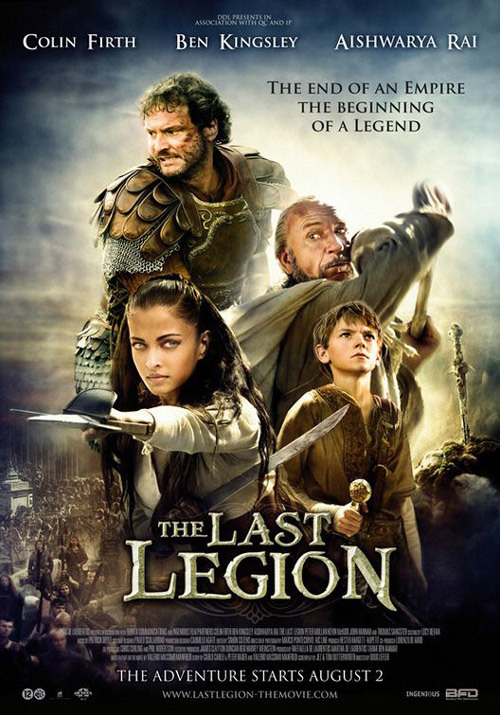 This entry was posted in Movie, Reviews, Roman Empire, War Movie and tagged Action-Adventure, Aishwarya Rai, Ben Kingsley, Colin Firth, Excalibur, King Arthur, Movies, Roman Empire, The Last Legion, Thomas Brodie-Sangster, Trailer, Valerio Massimo Manfredi. Just the poster puts me off. I’ll pass on this one, but when I saw the title I thought “French Foreign Legion”…. I’m a bit ashamed to confess I watched it but on the other hand I know some people are glad when you tell them what to expect. I have no idea how I didn’t see Firth was in it. He was awful. So I guess you would put it behind The Eagle and Centurion? Thanks for the warning. I have a feeling I will laugh a lot when I watch it. I agree that Kingsley seems an odd fit. I think there has to be a great Roman legion movie waiting to be made. Yes, it would be great, if there was such a movie. I haven’t seen The Eagle yet but it is decidedly worse than Centurion which is excellent in comparison. You would laugh a lot. But I’m really not sure it was meant to be funny. I have seen several movies lately that were unintentionally funny. For instance, Battleship, Immortal Sergeant, Battle of the Bulge. Battle of the Bulge as well? I’m not surprised about Battleship, I remember your review. I was almost tempted as it sounded so hilarious. It was the deaths in Battle of the Bulge, Almost all of them were the type I call “signalling touchdown while twirling and falling”. Immortal Sergeant has this scene where the infantry shoots down this German plane which proceeds to crash land on fire and chase a truck, running into it and exploding. Hilarious!